These wholesale backpacks have one of the best movies released by Disney's Pixar in 2016 Finding Dor..
Wholesale Backpack in 15" Eaglesport 3D Printed wholesale backpack. All the same amazing featur.. Send your little angel to school in style this year with their favorite Character on their backp..
15" Box Printed wholesale backpack. All the same amazing features in different versions and sizes fr..
15" Cars 3 Backpack $6.50 Each. 15" Cloud Printed wholesale backpack. 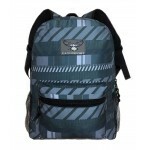 All the same amazing features in different versions and sizes ..
15" Dot Print backpack. All the same great features from our EAGLESPORT line. All our wholesale back..
15" two tone EAGLESPORT backpack. 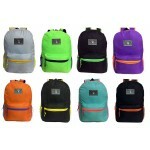 Our series backpack offer great quality features at a great price .. Send your little girl to school this year with her favorite Disney character on their wholesale back..
15" Galaxy Print backpack. All the same amazing features from all our size backpacks. All our wholes..
15" Green Camo Print backpack. All the same great features from our 17" version. All our wholesale b..
15" IKAT Print backpack. All the same great features from our EAGLESPORT line of backpacks. Sol..
15" JoJo Siwa $6.50 Each. JoJo Siwa is your kids favorite TV show character, why not have it on their school backpack. Th..
15" Laser Print backpack. All the same great features from our EAGLESPORT line of backpacks. Sold by.. Send your kids to school with their favorite movie character on their school backpack. There is..
15" Mickey Mouse Clubhouse $6.50 Each. Give your child their favorite Disney TV show character printed on a wholesale backpack.&n..
15" Minnie Mouse $6.50 Each. Gift your little girl with her favorite Disney character on her wholesale backpack. There is pl..
Give your little one their favorite movie character printed on their wholesale school backpack. ..